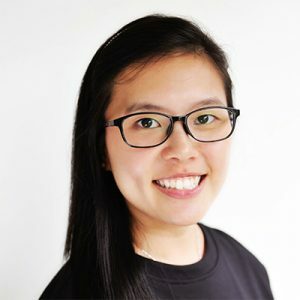 Since graduating from La Trobe University with a Bachelor of Podiatry, Zelina has been a podiatrist with experience in both public and private healthcare in Australia and Singapore. Most recently, prior to joining the Melbourne Foot, Ankle and Walking Clinic, she was a Senior Podiatrist at a private physiotherapy and podiatry clinic in Singapore. Zelina also held a stint as a Senior Podiatrist at one of Singapore’s largest acute care hospital where she focused on the management of complex foot conditions, whilst providing foot care services at affiliated nursing homes, and leading a team of frontline support staff. Before her foray into the Singapore healthcare system, Zelina began her career in the town of Wonthaggi, where she was in private practice. With her varied experience over the years, Zelina is well-adept at procedures concerning general feet treatments, ingrown toenail surgery, diabetic foot care, podopaediatrics, and biomechanical consultation. She has worked closely with doctors, and other healthcare professionals in providing holistic care for her patients. Armed with a deep passion for what she does, Zelina strives to educate patients and healthcare professionals on the importance of foot care in playing her part within a holistic healthcare ecosystem.